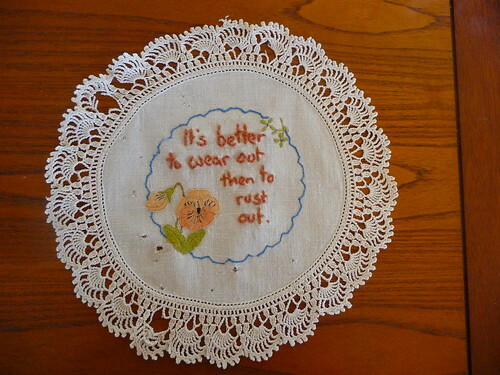 This one lives up to the poor doily that it's been embroidered on. 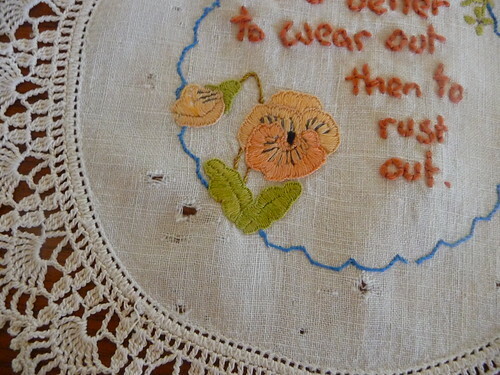 I picked this one up despite all the holes and tears because I thought the pansy flower was quite sweet. 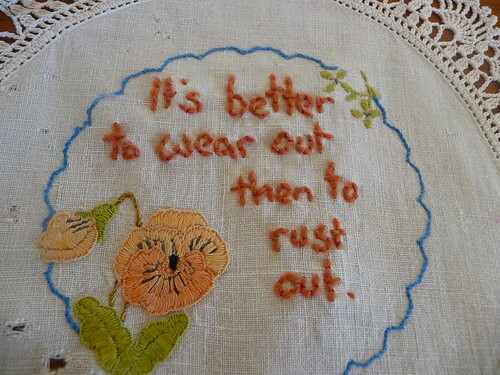 The quote fits perfectly. 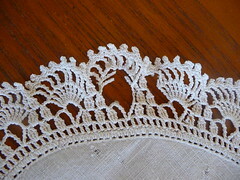 The wool thread I used to embroider this one is vintage as well, so everything about this piece has been well-loved already. 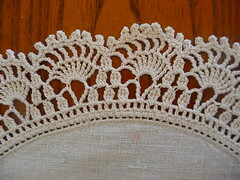 Some of the beautiful lace around the edge, and some of the poor holes worn through it. *clinks tea cups! * I've been making an effort to be doing more of the former of late myself..